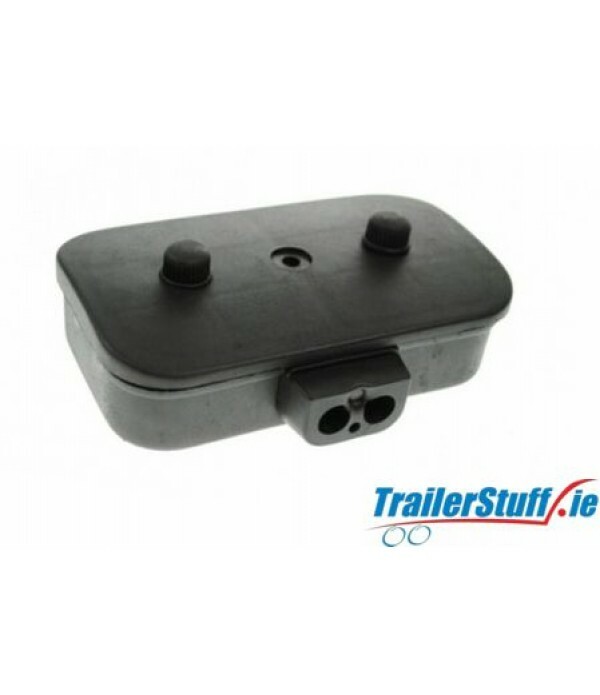 Junction Boxes - Trailer Parts and Accessories | Ireland | Trailerstuff is Irelands largest online supplier of trailer parts and accessories. Electrical Junction Boxes in stock for all brands. 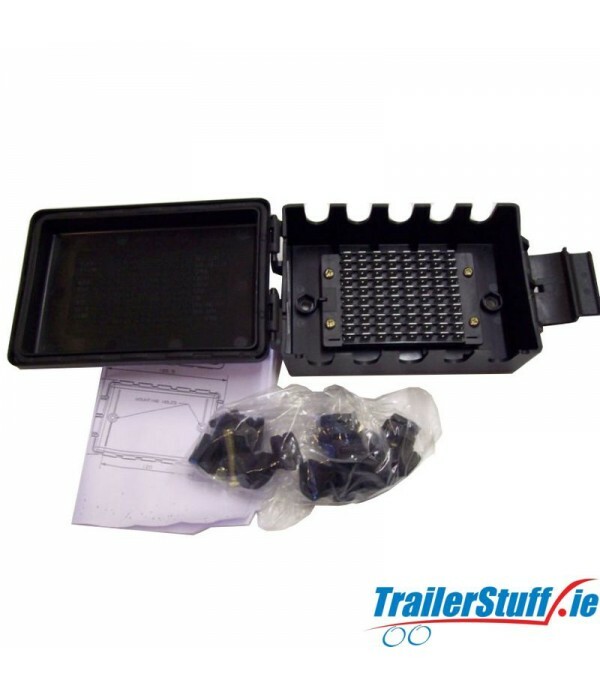 10 way junction box for 12& 24V trailer applicationsSpade terminalsComplete with fixings and selection of cable entry and blanking grommets.. 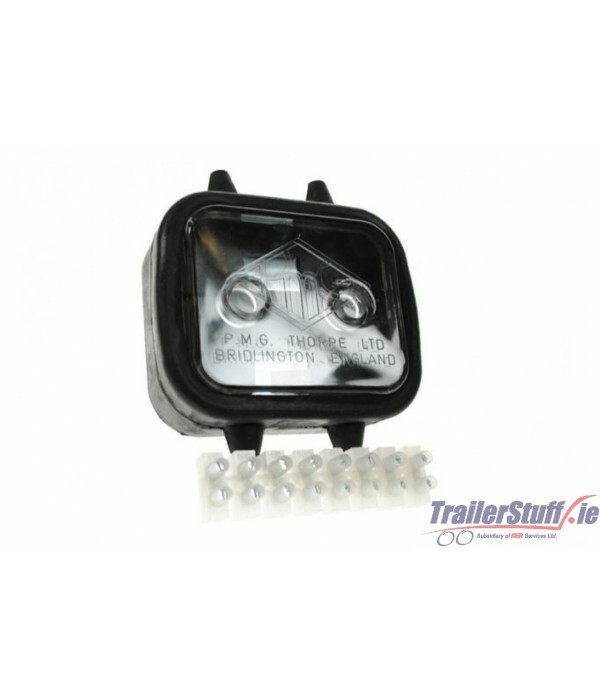 Description Britax Junction Box ( E05.00) 10-way common rails For use with 12v or 24v Uses spade terminal connectors Commonly used on IFOR Williams trailers.. 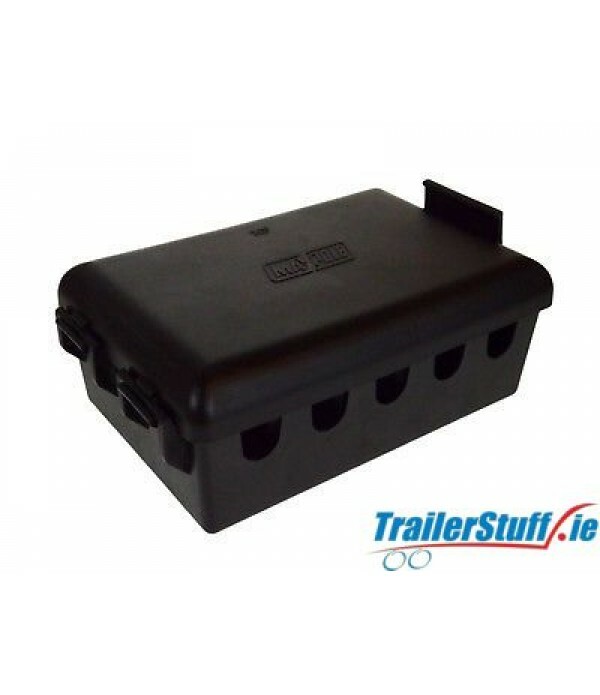 Description 10-way Economy Junction Box Screw down lid to seal the box 10 screw terminal connections Commonly used on IFOR Williams trailers.. Description Britax Junction Box (Britax 3540.00) 8-way block connectors - screw terminals Mounted in a waterproof rubber base Screw terminals 15 amp rating..